Environmental cleanup in Northern, VA impacts both homes and businesses. Northern, VA, still today, has many older homes and old factories, some just sitting there waiting to be torn down. 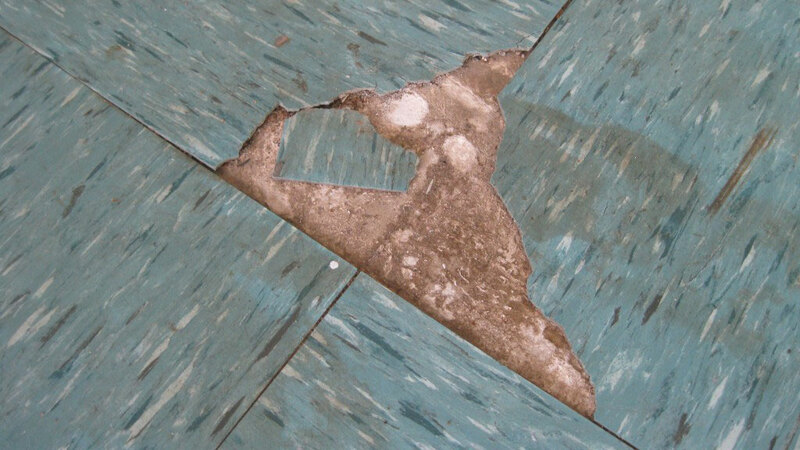 Issues such as asbestos and mold can be in found in older homes and businesses in the Northern, VA area. Moisture tends to affect older homes because newer homes are constructed with newer technology so water doesn’t seem to enter homes as easily. Basements that are damp where mold has become a major problem require environmental cleanup. Mold can be dangerous for your health especially if you live in it day in and day out. Any moisture in your Northern, VA home such as in your bathroom when there is not adequate ventilation, the kitchen, or if you have any leaky pipes, can turn into a major development of mold infestation. An environmental cleanup project can include asbestos removal for older homes in Northern, VA. Anytime you are pursuing a remodeling project, you need to be aware of any asbestos-related materials that could have been used in the initial construction of your home. Insulation, popcorn ceilings, and flooring tiles inside could include asbestos materials. Outside your home, asbestos-related materials could be in the siding on your home and your roofing shingles. Environmental cleanup projects in Northern, VA are more frequent than most homeowners realize. Most homeowners in Northern, VA are unaware of the environmental cleanup issues that could be part of the surroundings they are living in. Some homeowners see mold and don’t think much of it. They try to clean it up and then later it comes back. If you are experiencing a strong musty smell, don’t overlook it. Mold infestation can cause major health issues such as headaches, coughing, respiratory issues, asthma, fatigue, running nose, and can even contribute to depression. If you have noticed any mold growth in your Northern, VA home and any of your family members are experiencing any of these symptoms, an environmental cleanup should be done immediately. Another environmental cleanup issue that could be lurking inside your home, if it is fairly old, is lead paint. All of these things, mold, asbestos, and lead paint should be taken care of as soon as possible for the safety of your family. Is Asbestos Siding on Homes in Front Royal, VA Dangerous? Asbestos siding is composed of asbestos fibers that are mixed with Portland cement. Because of its brittleness, asbestos siding is prone to crack and break when nailed. When you nail into asbestos siding on your home in Front Royal, VA, it can release asbestos fibers into the air and the ground. Breathing these fibers can result in lung problems and cancer. Easy to clean, but be aware that power washing asbestos siding can easily crack the shingles. Easily paintable because it does not soak up paint like wood and clapboard. If your asbestos siding on your home in Front Royal, VA is in good condition and you do not want to replace, it is not dangerous. Once you start sawing, ripping or tearing it off the side of your house is when you run into risks to your health. Asbestos siding does not have to be removed just because it contains asbestos. Asbestos siding is normally found on houses in Front Royal, VA that were built between 1905 to 1960’s. A lot of these homes still exist today. The benefit of asbestos siding is that it is fireproof, just the shingles themselves, not the underlying structure of the house. There is also a product that is similar called fiber-cement siding. This is different from cement-asbestos siding in that it contains no asbestos. If in doubt of which type you have on your home in Front Royal, VA, call a company such as Envirotex that deals with asbestos and have them come and test your home for asbestos-containing materials. Only then will you be positively sure of the type of siding you have on your home in Front Royal, VA. If you are considering residing your Front Royal, VA house with vinyl siding, you will first have to have an asbestos abatement company such as Envirotex to remove the old asbestos siding first. A company like Envirotex will have the proper equipment and a professional team that is experienced in asbestos removal. When is Asbestos Siding Dangerous in Winchester, VA? Commonly used in homes and buildings in Winchester, VA from the 1920s until the 1980s, asbestos siding can still be found on many older homes. A naturally occurring mineral, asbestos was added to cement that was then pressed into siding shingles which came in a variety of textures and sizes. This resulted in a durable product that was fire-resistant and absorbed paint well. It was cheap to make and resistant to the elements. Upkeep was easy and cost very little because it was easy to clean and paint adhered to it. The EPA banned the use of asbestos in the U.S. in 1989 for new building materials. Homes that were built before that time in Winchester, VA most likely contain asbestos in some form. As long as asbestos siding stays intact, it poses no real harm. If the asbestos siding is broken up, asbestos fibers are released into the air which is extremely dangerous. Mesothelioma and other cancers, asbestosis and other lung diseases are a grave danger with continued exposure to these fibers from asbestos-containing materials. If you have asbestos siding on your Winchester, VA home, it is best to call an environment company such as Envirotex who is experienced and certified to handle asbestos materials. You should always test first because there are other products out there that look similar but contain no asbestos. A trained and accredited asbestos professional will take samples for analysis. These professionals know what to look for at homes in Winchester, VA and because of the health risks involved, this should never be done by homeowners. If not done correctly, there is a risk of fibers being released into the air where family members could be affected. When Should Asbestos Siding Be Removed? No asbestos-containing materials are welcoming news for any homeowner, but asbestos siding is actually one of the easier ones. There are products on the market that offer a wide range of new shingle siding that matches the curved and scalloped contour of many older asbestos siding shingles that are on homes in Winchester, VA. If your asbestos siding is mostly in good condition, you can replace these broken or cracked pieces. Another option would be to encapsulate the asbestos siding and install new vinyl siding over it. If you choose to completely remove the old asbestos siding, it is best to call in the experts. They have the proper clothing, respirators and gloves and equipment to remove it from homes in Winchester, VA safely, not to mention, they also have the means to dispose of it legally. Any issues with asbestos should always be left up to environmental experts such as Envirotex. Winchester, VA, known for its beautiful Historic District along with its fine dining, museums, arts and entertainment, and farmers markets, still houses and employs many people with homes and businesses that were built years ago when asbestos was used for insulation, shingles, cement, and tiles. If you live in a home built before 1980, the possibility of having some sort of asbestos in your home is almost certain. Possibly. If you find something in your home that you think might possibly contain asbestos, leave it alone. As long as you do not disturb asbestos-containing materials, you should be safe. If you are indeed uneasy or if you see any asbestos-containing materials falling apart, you need to call an asbestos contractor in Winchester, VA.
An asbestos contractor will have a team of professionals who will come to your home, do an inspection of your home for asbestos-containing materials by taking samples and then send them to an independent lab for evaluation. Depending on the results, your asbestos contractor may then design a plan for the removal of the asbestos-containing materials. Can they provide you with references with other customers in Winchester, VA who have had similar work done for them? They should be able to provide you with several references which you should contact to see if these customers were satisfied with their work. Consider the costs that that an asbestos contractor is quoting you for an asbestos removal and understand what services it includes such as inspection, air monitoring removal, clean up, waste removal and repairs. Obtain bids from several different asbestos contractors in Winchester, VA to cover all labor costs, materials, insurance, bonding, air monitoring costs, and asbestos waste disposal fees. Request a written plan from each contractor with a description of their plan for the asbestos removal. Compare the services of each asbestos contractor in Winchester, VA to the cost in their bids and make sure you take into consideration the references of how each customer rated each of the contractor’s work. Get Help From an Asbestos Contractor in Washington, D.C.
An asbestos contractor in Washington, D.C. can inspect your home in Washington, D.C. for asbestos. They can take samples, access the situation and then give you a plan to rid your home of asbestos. When hiring an asbestos contractor, you need to inquire about their certifications and licenses required by your state. You can check with your state’s department of environmental protection or health for a list of accredited professionals. What An Asbestos Contractor Can Do For Asbestos? Non-contaminated movable items will be removed from the work area. Plastic sheeting will be applied to walls and floors to isolate the work area from the rest of the home or basement. This is known as containment or enclosure. A three-chambered decontamination unit equipped with a working shower connecting to the work area will be set up. This is known as a “decon.” Workers who wear protective clothing, such as respirators and protective suits, must use the “decon” when entering and leaving the work area. An airless sprayer will be used to keep the asbestos containing material wet during the removal process. Any asbestos materials being removed will be put into a sealed plastic bag. Choosing a professional to remove asbestos is not going to be the same contractor who does home repair or remodeling. They do not have the proper certification nor employ certified workers who are equipped to work with asbestos safely. If you hire someone who is not qualified, you put your family in great danger. Proper equipment and the expertise to do the work properly will prevent the spread of asbestos fibers throughout your home. An asbestos contractor in Washington, D.C. is professionally trained in environmental safety to remove asbestos safely and document the complete removal for future reference should you decide to sell your home.